It is sometimes difficult to play and run a tournament. If you have some of the right products, it makes it a lot easier. This will allow you to focus more on playing. The keys to a successful tournament: being well organized, having good structure and using Quality Poker Supplies. The poker supplies that are used will have a big impact on the overall tournament experience. The use of quality supplies will make for “casino” like feel to your tournament. How many poker chips will you need to successfully host a tournament? Generally, you will want about 50-75 chips for each player. If you want to have a 20 person tournament you will need approximately 1000-1500 chips of the right color mix. You will need only four or five chip colors for tournaments of 40 players or less. You will need more of the lower denominations than you do of the higher denominations. Poker chip trays are extremely useful for handling and storing poker chips. At the beginning of the tournament they can be use to hold each players chips. This makes it easy to hand out the chips and assures that they are getting the right amount of chips. Chip trays also are helpful for carrying chips when a player has to move to another table. You will need to have enough seating for everyone. What you will need for tables will depend upon how many will be in your tournament. There is a wide variety and quality of tables that can be used. You need to make sure everyone has enough room. You may need to add an extra table. If you would like a quality table or multiple tables and it doesn't fit into your budget. You may want to learn how to build a poker table. This will save a significant amount of money. Using a tournament manager or tournament software helps you focus on playing and not as much on running the tournament. The software will make the tournament have that true casino tournament feel. Using this program will help you to just focus on the game and not worry about all of the details. The software does many things to assist you. Its main function will be to act as the tournament clock and count down the rounds and increase the blinds. The software will produce a random seating chart, so everyone knows where to sit. If you do have multiple tables it will move players as needed and tear down tables. Also it will keep track of who has paid and determine the prize payouts. All of these things are customizable to fit the needs of your tournament. WE HIGHLY RECOMMEND. There are some other things you may want to use in your tournament. Dealer buttons will keep track of who is dealing and where the blinds are. Use a good deck of playing cards. Make sure none of them are bent, torn or marked. It is always a good idea to have a few back up decks. Using 2 decks of playing cards can help speed up play. While one hand is going on the person to deal next can be shuffling the other deck. A playing card shuffler can also be used to help speed up the play or help those people who have never quite mastered the skill of card shuffling. If your tournament changes locations each time, try using a poker chip carrier case for transporting your chips. Structure is the most important ingredient to a successful tournament. This includes how much to buy-in for, how many dollars in chips players start with, what the blinds start at and how much and fast should the rounds increase, how many places pay out, how much each place receives. What type of tournament are you going to play; limit, pot limit or no limit and whether you allow rebuys and/or add-on? Buy-in amount are always set by the comfort level of the people playing in the tournament. How many dollars in chips should the players start with? Whether you want players to start with $100, $200, $1000, $5000, $10,000, it doesn’t really matter. This may depend on the quantity and color of chips that you have and the number of people are playing. Depending on your buy-in amount, you could have you starting chip amount the same as the buy-in. The blinds should start with the big blind being about 1% of the players starting chip amount. For example, if everyone starts with $5000 in chips than the big blind would start at $50 and the small blind $25. The one thing that will eventually make a tournament end is the blinds. Blinds continue to increase as the tournament progresses forcing people to play. The blinds should increase at an interval no bigger than double of the previous round. How fast should the blinds increase? That depends upon the total number of players and the number of players per table. The more players the longer the rounds should be. A single table 6 person tournament could have 10-12 minute rounds, while a multi table 18-30 person tournament could have 20-30 minute rounds. Generally speaking, the longer the rounds and the slower the blinds increase, the longer the tournament will last; this will reward skill. The shorter the rounds and the faster the blinds increase, the shorter the tournament will take; this will reward luck. You will want to find the right balance for your tournament. A tournament will usually end during a round when the big blind reaches 5-10% of the total chip count. For example, a 20 person tournament with each person starting with $5000 will have a total chip count of $100,000. The tournament should end when the big blind is between $5000 and $10,000. A 25 person tournament will usually last 3-4 hours. A tournament where once you lose all your chips and you are eliminated is called a ‘freeze out’. An option that you can add to your tournament would be to allow rebuys and add-ons. A rebuy allows a person to buy back into the tournament if the get knocked out. An add-on is an option to purchase more chips. Rebuys usually take place during the first round, but can be extended to the second or third round. An add-on is usually bought at the end of the rebuy round(s). Rebuys and add-ons are normally the same cost as the tournament buy-in amount and get you the starting chip amount. You will need to determine how many places pay out and how much each place receives. This once again is total up to you. You could have winner take all or you could spread the wealth to several spots. If you have 10 players, pay out the top 3 spots and for every 6 more players add another pay out spot. When paying multiple places, first place should normally receive 40%-50% of total prize pool. Very large tournaments (100+) generally pay the top 10%, with first place receiving 25-30% of the prize pool. Organization is how the tournament is run. This includes things like how many chips people get, where they sit, how many at a table, timing the rounds, coloring up of chips,. If you are have a larger tournament with multiple tables then there is the moving of players and the closing of tables. When starting the tournament, make sure that each player has enough chips. Have at least 20 chips of smallest denomination. For example, when starting with $5000, your blinds start at $25-$50; have at least 20 green $25 chips. The reason for this is that a player won’t run out of the small denomination chips. A good starting amount could be 20 green ($500), 20 black ($2000) and 5 purple ($2500). You will need to randomly assign seating to all players. Have each player draw for their seat assignment. Don’t allow players to pick their seats. Some players may want to sit on one side or the other of another player to get an advantage. You will also need to determine how many sit at each table. Give everyone enough room, don’t crowd them in. Add an extra table if you need too. Most large poker tables seat 8–10 players comfortably. You will need to keep track of the timing of each round. Using some sort of a timer works well as the tournament clock. Have a “Round Chart” that shows how much the blinds will be each round and how many minutes the rounds last for. This will help to eliminate any confusion. At certain points in the tournament you will want to color up chips. This will help reduce the amount of chips players have sitting in front of them. Coloring up is the exchanging of lower denomination chips for higher denomination chips. There will come a time when a color is no longer needed. For example, if you have green $25 chips in play and the blinds have now become $100 / $200, you can colors all the green chips up to black $100 chips. When you do color up some players will be left with extra chips. They may have 7 green chips, leaving them with an extra 3 green chips after coloring up. Chip Elimination - the removal of all extra chips. Chip Rounding Up - turning of any extra chips into the next chip denomination. Chip Race Off - randomly determining which players get their extra chips colored up. Any player with extra chips is eligible to win a colored up chip. All of the extra chips are placed in front of the player. 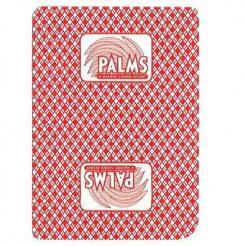 A player will receive one card for each chip that they have. The high card wins the chip.